Big Dogs Need Holidays Too: Brodie Heads to Norfolk! 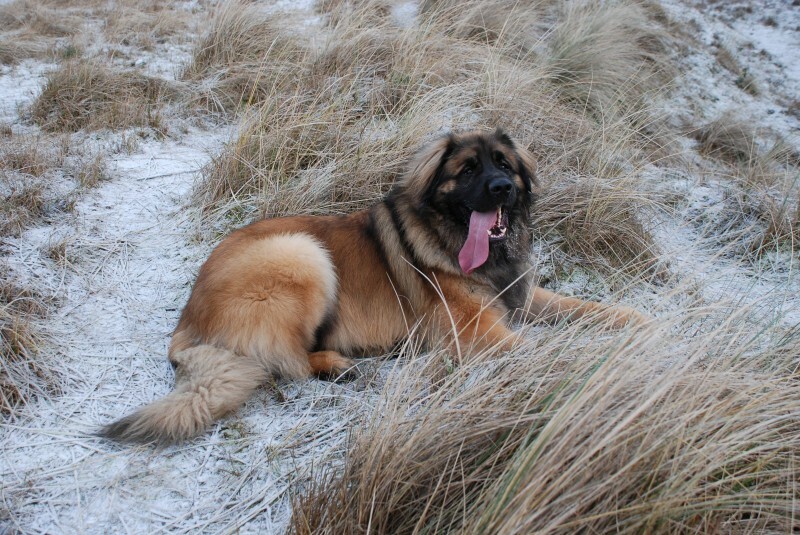 Large Dogs Need a Holiday Too: Brodie the Leonberger Heads to Norfolk for Relaxation! Look out for us in Dogs Today magazine – we have won another Holiday of the Month Award! After speaking to our recent fluffy guests Alfie the Cavachon and Badger the Miniature Dachshund, we thought it was only fair to get the bigger picture and feature a larger breed too! Brodie the Leonberger is one of the largest dogs to have stayed in our cottages. Together with owner Lily Heard and her husband Chas, Brodie regularly visits Blakeney for the brilliant walks and incredible coastline. Pictured above: Brodie’s first ever trip to Norfolk as a puppy was a snowy weekend winters break! 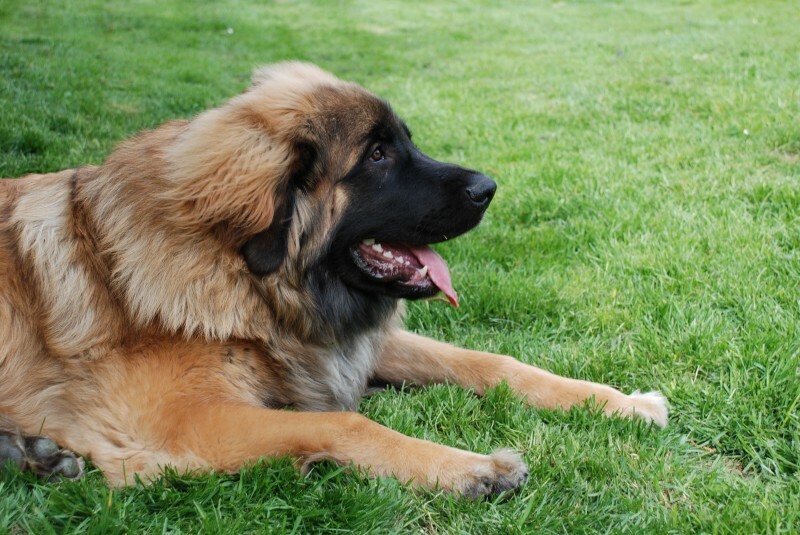 Age: 5 Breed: Leonberger Location: Lincolnshire Personality: Laid back, friendly, a real softie! Hobbies: Swimming, long leisurely walks on the beach, meeting other dogs and generally chilling out! 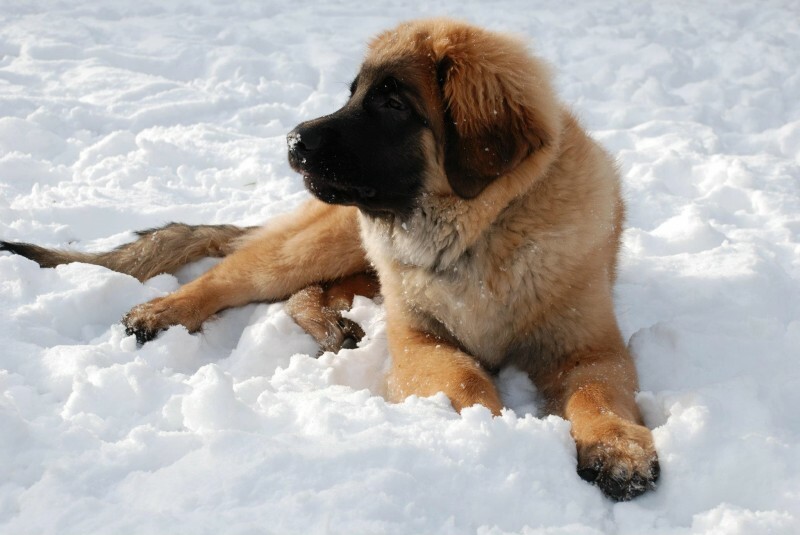 Nicknamed the gentle giant, Leonbergers have a calm, affectionate nature and Brodie is no different. “Brodie looks like a big fluffy teddy bear, so he gets a lot of attention, especially in Blakeney because everyone there seems to be a dog person,” says Lily. Pictured above: Brodie relaxes on Holkham beach on a winters day. Leonbergers are intelligent, brave and agile creatures who love the water. Because of this many are trained in water rescue and make excellent working dogs. Over the past few years Lily has visited Blakeney six times, either for holiday with extended family or short break with her husband. The family love the outdoors, which makes North Norfolk a perfect destination. “We’re all outdoorsy people, so we do a lot of walking, visiting the beaches and taking in the sea air. 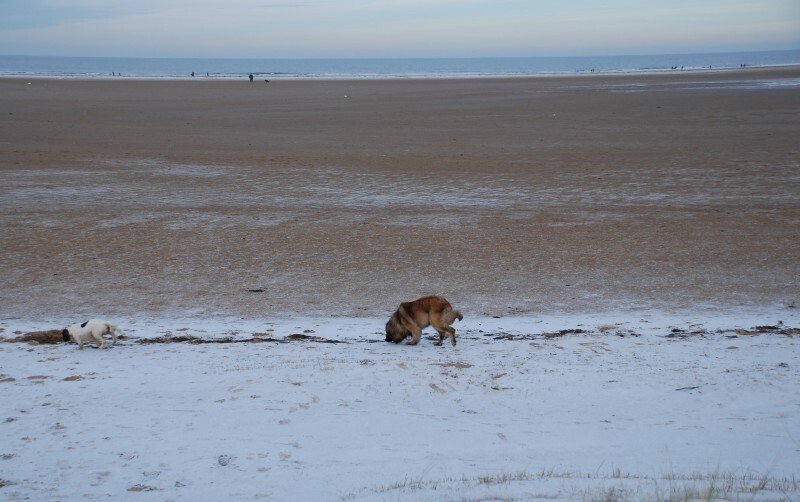 Pictured above: Brodie makes friends on Holkham Beach during a winter holiday. For Lily, North Norfolks general enthusiasm for dogs really makes the holiday. Brodie’s quirky character always goes down well with the locals. “The landlords are a big fan of Brodie. On one occasion Brodie decided to stand upright on his back legs and put his front paws on the bar waiting to be served. Everyone thought that was hilarious,” says Lily. As Leonbergers are classed as giant dogs, it’s important that Lily finds a holiday cottage which accommodates Brodie’s large size which can be a challenge. Pictured above: Brodie sunbathing in the garden at Barn House. Barn House is Lily’s favourite dog-friendly accommodation for its spacious, homely design. “We have stayed in a few houses with The Blakeney Cottage Company now and they have all been fab but I would say Barn House stands out for us. It has a lovely garden for Brodie to roam around in, the house itself is also large and done up to a really high standard with beautiful decor (I’ve stolen plenty of ideas for my own home). Also it’s only two minutes from one of our favourite walks along the Coastal Path. Lily has been on many dog-friendly holidays to places like the Lake District, Cornwell and Devon, but says Blakeney is her firm favourite. “One of our major concerns when taking Brodie on holiday is that we can include him in the majority of activities – in North Norfolk that’s never been a problem. That’s why we keep going back. “Not forgetting of course, North Norfolk is one of the driest parts of the UK – a real bonus,” says Lily.